ZTech Wireless Earbuds With Charging Case - Dual Bluetooth, Lightweight And Ergonomic, Built-In Mic, Hands-free Calling | BUDK.com - Knives & Swords At The Lowest Prices! Enjoy superior sound with fantastic TWS (True Wireless Stereo) technology! Crisp, crystal-clear sound quality and robust bass are realized through these dual Bluetooth ZTech Earbuds. Secure and comfortable, they are unbelievably light-weight with no burden to your ears. The ergonomic design allows for ultimate wearing comfort to match your active lifestyle including driving, running, biking, training, jogging, hiking and exercising. The Bluetooth 4.2 Technology lets you enjoy high-fidelity sound, faster pairing speed and stable connectivity, up to 33 ft remote range, and the built-in mic is great for hands-free calling. The earbuds have an ultra-low power consumption, which allows for 2-3 hours of premium quality play time and 40 hours stand-by time with a single charge of 1-2 hours. When fully charged, the portable charging case’s built-in 900 mAh battery will fully charge the wireless earbuds up to six times. 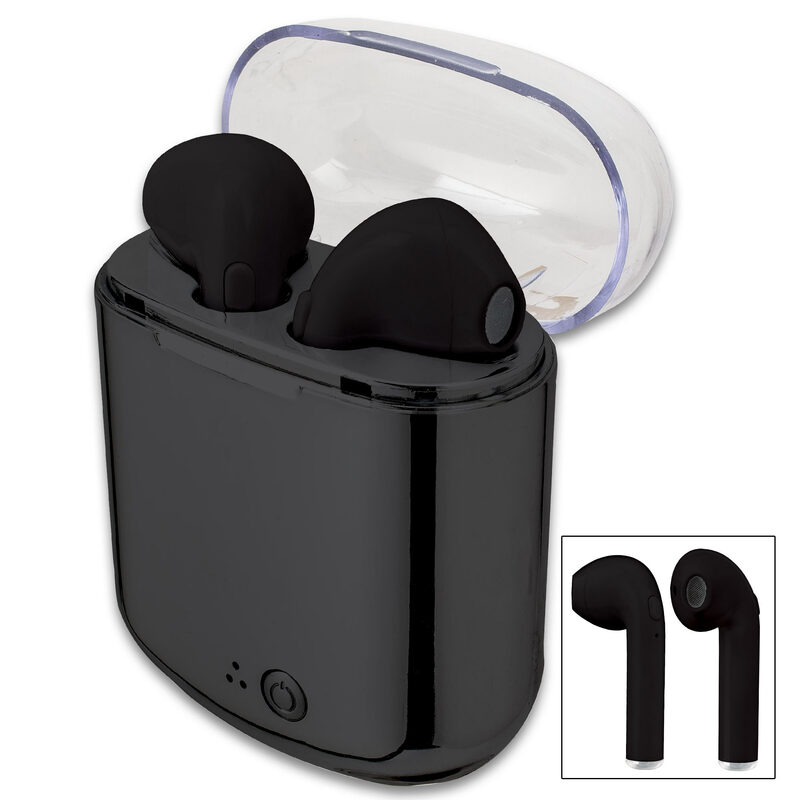 The earbuds are widely compatible with most Bluetooth-enabled IOS devices and are available in black or white.